You remember the tale of Tom Sawyer, the hero of Mark Twain’s 1876 novel. One day Tom is forced to paint the fence around Aunt Polly’s house – and of all days, on a beautiful Saturday when all his friends are going swimming and sunning themselves. When his first friend saunters by, Tom isn’t spared his sarcasm. But our hero keeps his head. Who would want to swim if he had the chance to paint a fence? Tom plunges himself into the work with enthusiasm, daubs a little paint here, studies a not yet perfectly painted spot there. His friend Ben gets curious, and wonders whether he’d be allowed to paint a little too. 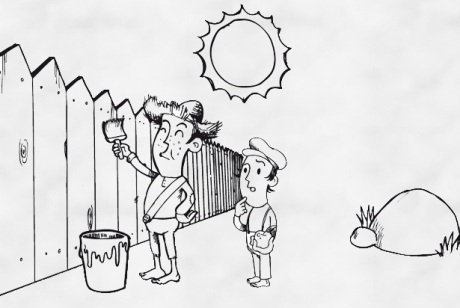 By the end of the day Tom has convinced his friends that it’s exciting to paint a fence. But even better, they pay him for allowing them to do the work. Turning work into fun. 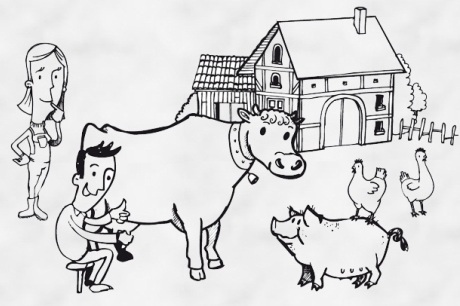 Can this little tale be transferred to entrepreneurial design? 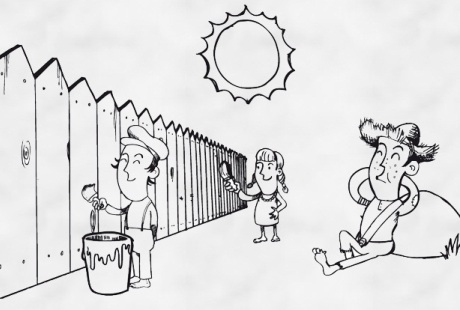 I think so; Tom managed to organize the job of painting a fence in a very special way. With a little imagination and talent for organization, Tom understood that you can turn even a punishment into a party. What animals are appropriate? What crops? How would you make sure that your visitors met and made friends with each other? What activities, celebrations or transformations will take place? What can you do to ensure your visitors will come back? What activities can the visitors take over in the long run? Don’t start thinking about what’s already happening, e.g., picking your own strawberries. Approach it systematically. Not everything has to remain hard work; it can also be fun. It’s helpful if in your mind’s eye you can break down repetitive tasks into small manageable segments and make sure that there is variety.